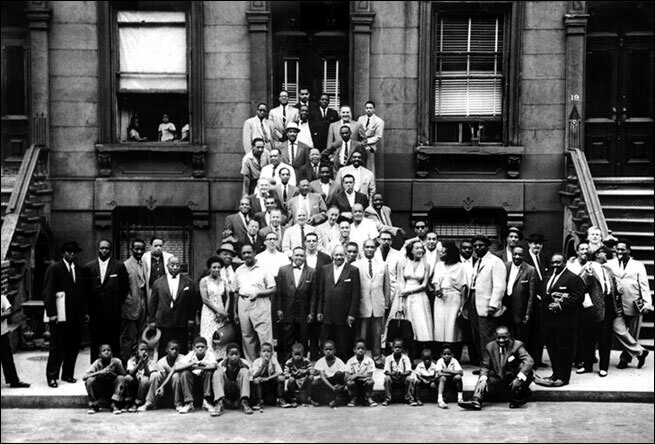 The Harlem 1958 jazz portrait is used with the generous permission of the Art Kane Archives. Buy the poster or DVD. Buy the Art Kane book. Find out about the site.